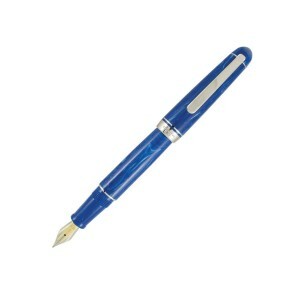 Everybody knows about Mountblanc pens, they are known for how well designed they are. They have had this reputation for years. I decided that I needed to find out if this reputation was deserved. So, I simply went out and bought myself a Montblanc pen. The pen that I bought was the Montblanc Bohème. I spent quite long time writing with the pen, and now, I think I can assure you that this is one of the best writing instruments that I have used in a long time. This is a pen that can make a person’s jaw drop simply due to its’ design, then make a person gaze in shock due to its’ performance. When I first used the pen, I was surprised by how the pen felt in my hand. Was this truly how a Mont blanc was supposed to feel like? Yes, yes it was. I should not have been surprised by the wonderful heft that made me feel as if I was holding something both solid and light. Writing with this pen was like skating on a frozen pool. I only had to lightly press on paper and my thoughts slid out of the nib. What a nib it was. It was an eighteen-karate gold nib that had been plated with rhodium. This meant that even though the pen was hard, it wrote soft. Again, this is simply one of the wonderful paradoxes that make up the pen. It should be heavy but it feels light. It should slip out of your hand it looks so sleek but it stayed firmly in my grip. When I wrote with this pen, I did not need to pause often and stretch my hands the way I do when I use most pens. For some reason, this pen quickly fit my hand and made writing a joy as opposed to a chore. Filling the pen was also incredibly simply because it used a cartridge. I can use converters and do like using them, but this cartridge was convenient and simple. Filling the pen did not take a long time at all. I found myself filling and writing quicker than you could say this sentence. So, not only was this writing tool incredibly easy to use, I was also able to use it quickly again when it ran out of ink. Of course, it did take a long time for it to run out of ink, but that hardly seems like a problem at all. Yes, the Bohème is truly a pen that represents the best part of the Montblanc name. It has a wonderful, flawless design. The grip the pen has is paradoxically wonderful. Again, the pen seems as if it should be too heavy, but yet it was wonderfully light. Writing with it was not a difficult task at all. I found myself spreading my words left and right with an ease that I have not experienced in a long time. This is truly a pen for a pen-lover.